How Often Should you Change Bong Water? More then You Think. How Important is it to Change Your Bong Water Regularly? It's so easy to forget to change your bong water. Especially, if you don't smoke out of your bong often. The problem is, that's nasty. I think we're all guilty of it, but how long is too long? Does it depend more on the amount of time between changes, or does the amount of smoke that passes through matter more? Today, we'll take a look at why it's important you start changing your bong water more frequently then what you've probably been! 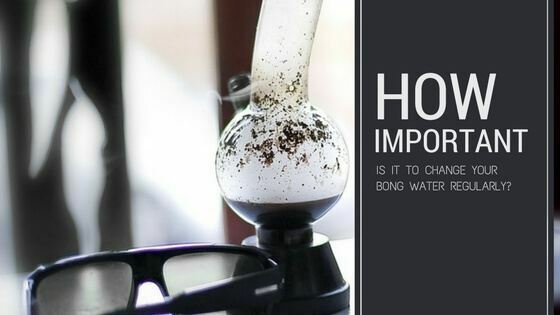 How Often Should You Change Your Bongs Water? 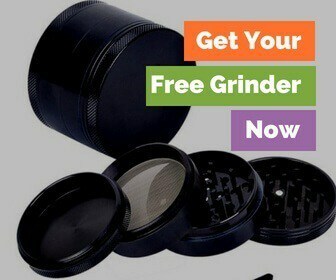 Well, the best practice would be to change out the water before every smoke session. Not only does changing it so often make for a better smoking experience, but leaving the water untouched for prolonged periods of time could, potentially, lead to some pretty nasty side effects. Can Dirty Bong Water Cause Lung Infections or Legionnaires' Disease? Yes, in fact, dirty stagnant bong water has the potential to breed bacteria that can lead to respiratory infections or diseases like Legionnaires' Disease. These lung infections can cause you to develop an awful cough and have you hacking up mucus-like phlegm and, if gone untreated, can potentially cause permanent damage to your lungs. So what is Legionnaires' Disease? Well, Legionnaires Disease is a severe form of pneumonia, that is brought on by inhaling bacterium known as legionella, and If gone untreated, Legionnaires Disease can be fatal. Now, if you refuse to swap out your dirty bong water for clean water are you guaranteed to get sick? No, but a few minutes spent changing the water of your bong before you smoke certainly seems well worth the effort if it’s going to reduce your risk of lung infections drastically. Yes, bongs can grow mold! Think about it; the bong is a wet area, exposed to bodily fluids and organic matter. It’s pretty much a perfect place to grow mold! Drinking Bong Water… Don’t Do It. And if anybody ever tells you as much, let them know that you will drink some bong water right as soon as they eat a spoonful of ash from the ashtray. That’s all bong water is, it’s just an ashtray, filtering out most of the nasty carcinogens and ash that are created from combustion. And no... bong water is not absorbing anything good that you would want. So if you want the best smoking experience, I would recommend changing your dirty bong water before every smoke session. This helps to get the best flavor out of whatever herbs you may be smoking and to help diminish the chances of a respiratory infection. At the very least I would say you should change the water to your bong weekly or once it gets a nasty brown tint to it. In fact, anytime you let your bong water get dirty enough to develop a brown tint, you should clean it before you smoke out of it again if you want to enjoy the flavor of your smoke truly. So how often do you change the water in your bong? Let us know by answering our poll or in the comments section!